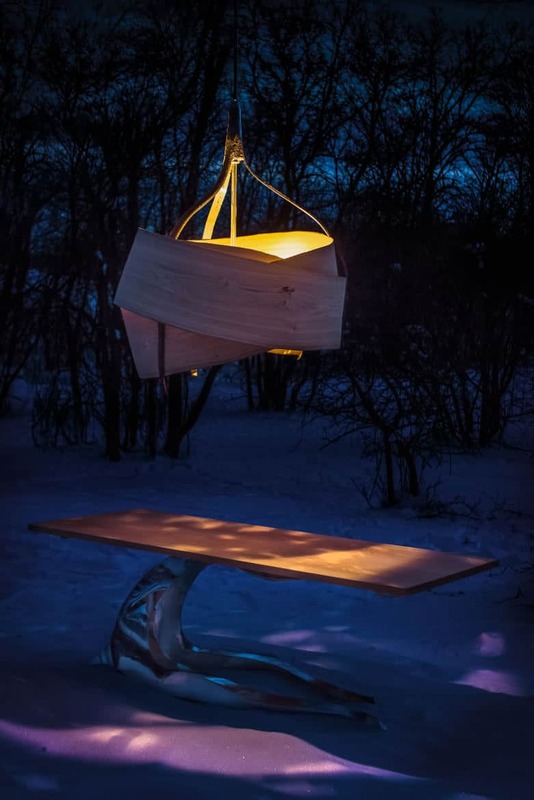 The windrow table and imbue light were designed and built to showcase our studios unique and adventurous operation. 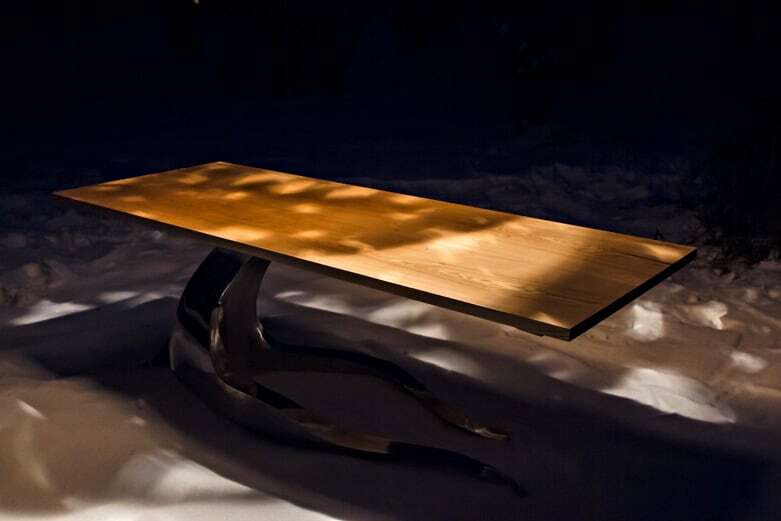 These pieces of sculptural furniture are inspired by elements found in our Manitoba landscape, by the raw material of nature, and our intimate understanding of process. 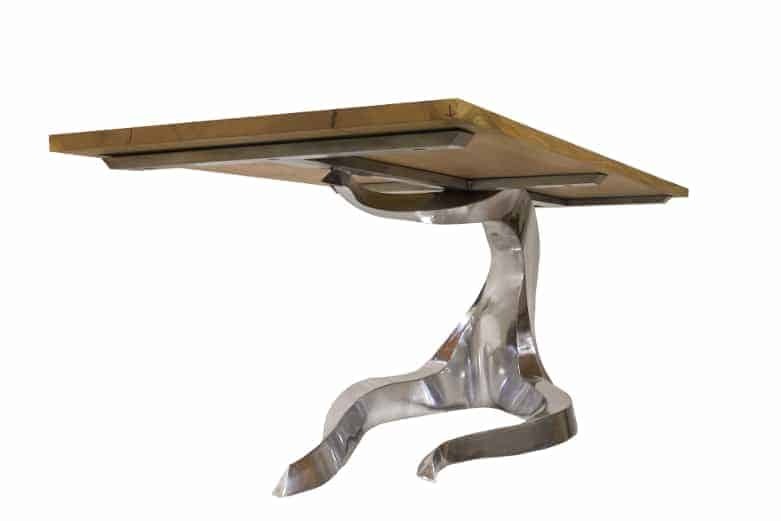 Every component to these pieces was made in house, from the milling and drying of salvaged trees to the forging and machining of custom aluminum parts. 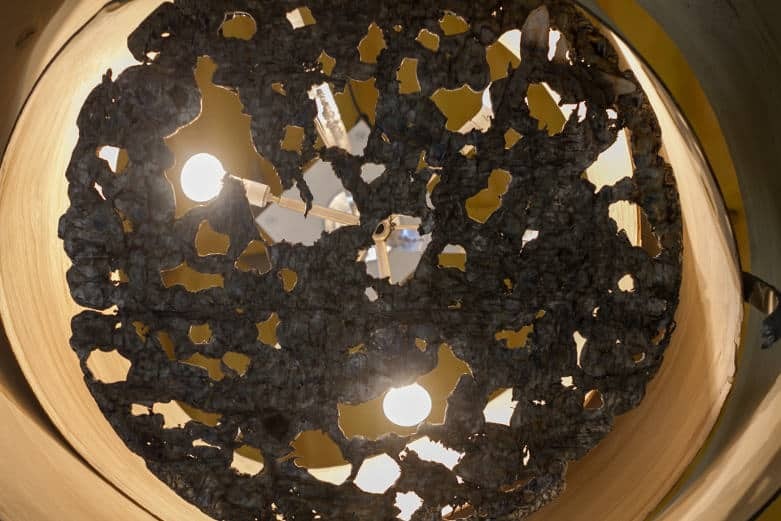 The aim is to constantly stretch the limits of materials and seek new methods of making. 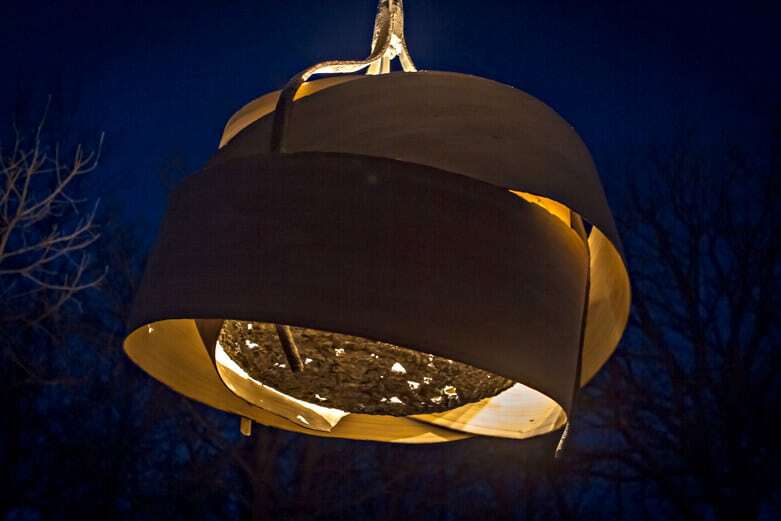 Imbue Light–200 year old white bur oak salvaged from development sites (trees in areas of development typically are land filled), cast aluminum in wood molds, cast and machined aluminum. The Oak is cut green on our sawmill and then bent into the beautiful folding continuous rings and then dried. 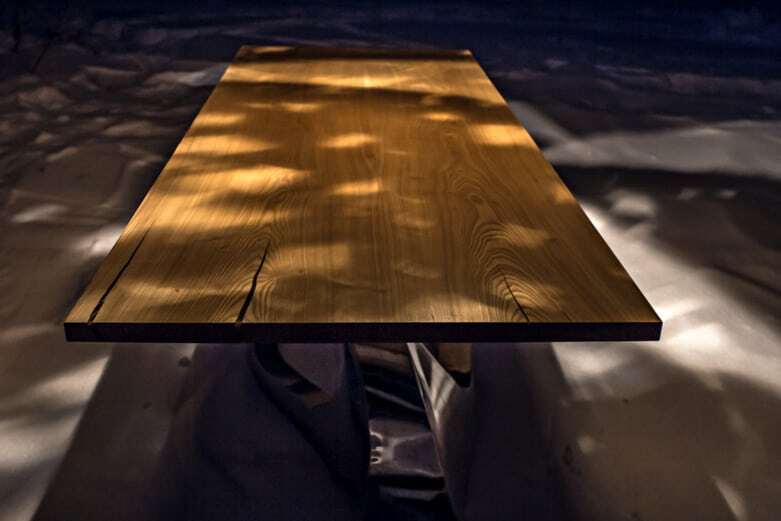 The oak is left raw to celebrate the color and strength that this wood has. 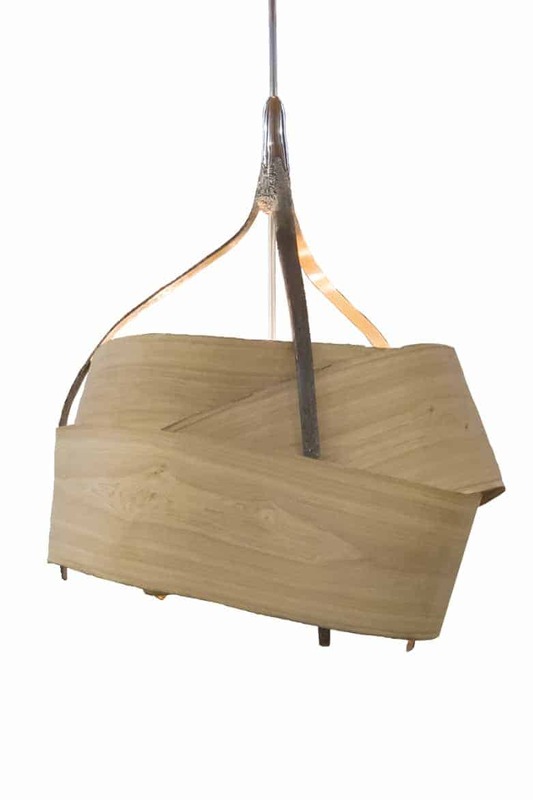 The aluminum is cast in wood molds, a technique Wood Anchor developed from countless hours of experimenting and becoming familiar with our materials. This leaves the aluminum with a beautiful purple/blue coloring and a texture that is reminiscent rough stone. 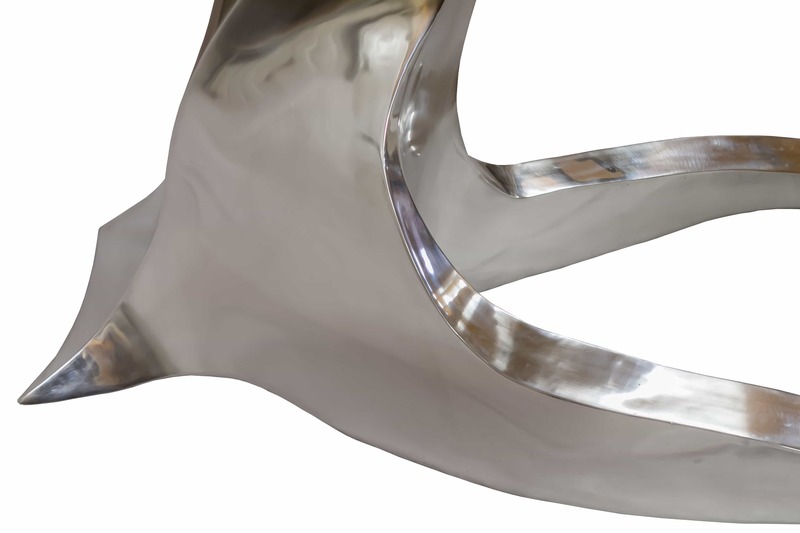 Areas of the aluminum are polished to contrast the cast pieces and pay homage to the countless hours that we spend perfecting our craft. 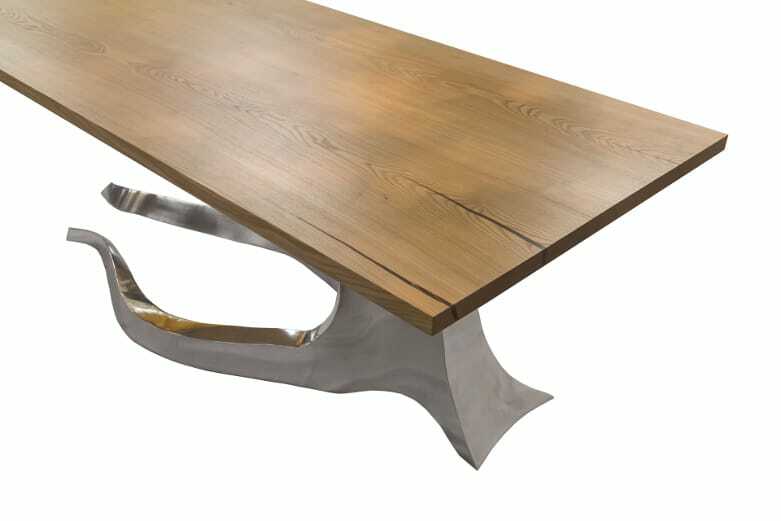 Windrow Table–150 year old black ash salvaged from urban development (trees in areas of development typically are land filled), sheet aluminum is sculpted and seam welded by hand, the ground and polished. 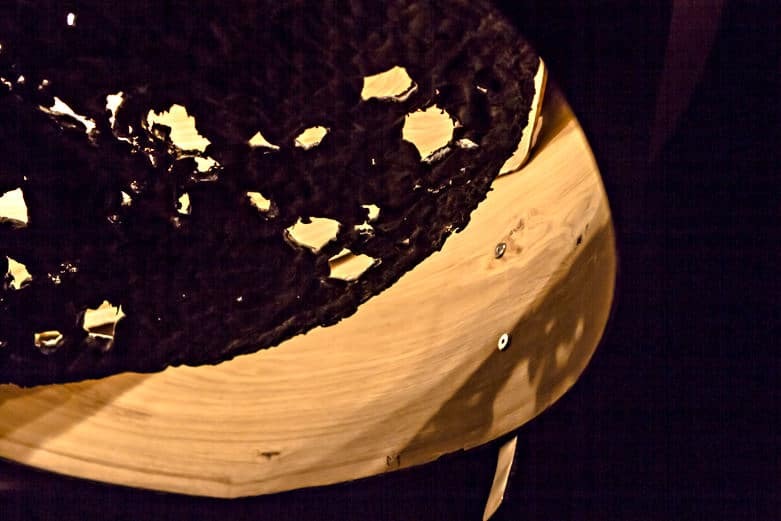 The Ash is selected based on it’s suitability for the piece. 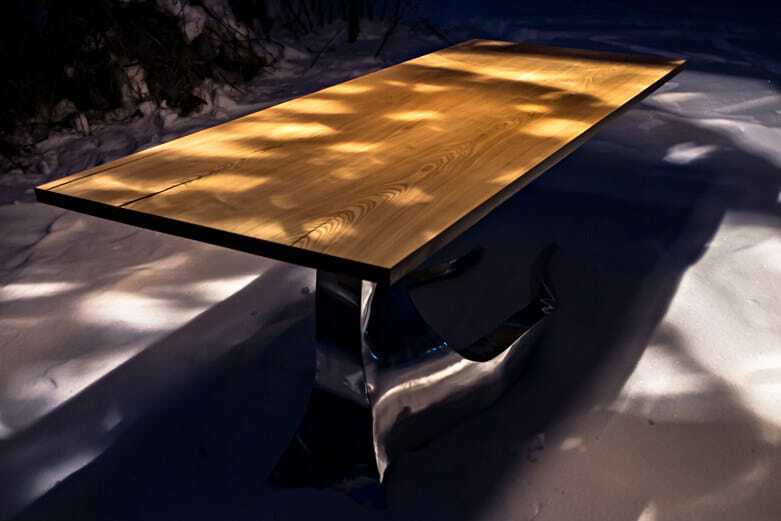 It’s then cut on our sawmill, kiln dried and machined into a perfect table top. The aluminum is cut and sculpted by hand using heat. There is no pattern for the piece; the artist creates it from his mind, studying the form as it develops. It is seam welded and the ground and polished by hand paying attention to every detail.